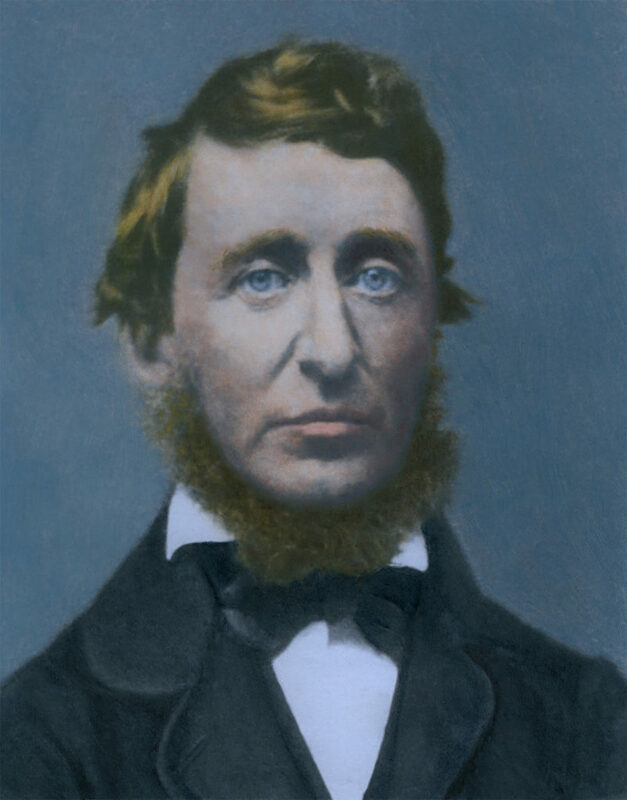 This Thursday, July 12, is the anniversary of the birth of the great American essayist, poet and philosopher, Henry David Thoreau (July 12, 1817 – May 6, 1862). You may recall, if you read his masterwork, Walden, when you were in school, Thoreau was an advocate for living a life of simplicity connected to nature. If he felt the need to withdraw from the hustle and bustle of 19th century life, imagine what he would think of our fast-paced world with its overabundance of plastic! We’d like to think that at least he would find comfort in the growing number of products that are more environmentally friendly and sustainable – ranging from paper straws and recycled paper towels to natural organic mattresses and natural organic bedding. The organizers of Simplicity Day thought Thoreau’s birthday would be the prefect occasion to remind us about the benefits of living a more simple life and living a life closer to nature. Since Thoreau apparently understood the importance of a good night’s rest, that means his birthday is also a great time to shop for a natural organic mattress from Natural Sleep Mattress in Atlanta. When you think about the kind of beds people were sleeping in during Thoreau’s time, it’s no wonder he said, “I have never yet met a man who was quite awake.” If he’d had the opportunity to talk to someone who has been sleeping on an OMI OrganicPedic mattress produced in the U.S.A. at the country’s only large-scale 100% organic factory, he might have seen the difference sleeping on a quality mattress, free from chemicals can make. Thoreau was a man who was quite content to sleep on the ground, so he might have been surprised to discover how much better and how much more aware he felt after sleeping on a premium natural organic mattress like those you will find in our convenient Buckhead location. We like to think he would definitely have appreciated the fact that OMI’s OrganicPedic mattresses are handmade in Northern California by expert artisans who guarantee their purity. After sleeping on an OrganicPedic mattress – or any of the other quality mattress you’ll find at Natural Sleep Mattress of Atlanta, including a Pure Talalay Bliss latex mattress, a Hastens Vividus or NaturePedic mattress among others – we think you will find yourself ready for new adventures. So, stop by Natural Mattress of Atlanta on Simplicity Day and learn more about the wonderful, sustainable products used in our exceptional mattresses. We’d be happy to talk with you about other steps you can take to live more sustainably, if you’re interested in celebrating the ideas behind Simplicity Day throughout the year. Simplicity Day was created by The EMILY Fund, which was established after the untimely death of Emily Rachel Silverstein to continue her legacy of hope in action for a more peaceful, just and sustainable world, through education, mentorship and creating and disseminating educational resources to facilitate individuals and student-centered organizations to experience local and global social change through community building activities. Don’t take our word for it – see what customers are saying on Yelp!